Since its inception in the year 2011, AVS Engineering Company, is working as an ISO 9001:2008 certified manufacturer, supplier and exporter of superior grade Gas Plant, Generator & Air Dryers. The offered range of products is inclusive of Gas Plant, Industrial Air Dryers and Inert Gas Generator. 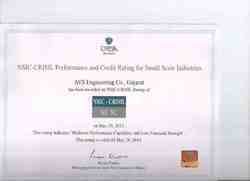 Our organization is also certified with the Crisil certificate. Our complete range of products is manufactured by the experts using highest quality raw materials and advanced technology. To manufacture our range, we have sourced the raw materials from the certified vendors of the market. Our offered range of vessels products is highly appreciated among the patrons for its corrosion resistance, leak proof nature and dimensional accuracy. We offer these vessels and fittings to the clients in various grades and other specifications. To manufacture our offered range of products, we have constructed a sophisticated infrastructure facility. Our premises spread over a vast area and is segregated in to various divisions, to ensure swift and hassle free execution of complete business process. All our units are well-equipped with the required latest tools and machines. To handle the responsibilities of these departments, we have appointed a team of experienced professionals. Our professionals are highly experienced and possess immense knowledge of this domain. Further, our client oriented approach has helped us to gain trust of our worldwide patrons. We export our products in all over the World. Our organization is working under the commendable mentorship of, ‘Mr. Harendra Sharma’, who possesses rich knowledge of this domain. He motivates complete team to work in harmony and helps them in achieving their goal on time. Manufacturing and Trading of air drying system, industrial pressure vessels, Nitrogen gas generators, oxygen gas generators, oxygen gas analyzer, compressed air system, gas drying system. Being an ISO 9001:2008 certified organization, we strive hard to maintain the quality in our offered range of Industrial Machinery and Plants. These products are manufactured using high-grade factor inputs in compliance with international quality standards. We have hired an adept team of quality analysts that stringently inspects the offered products on certain parameters to ensure flawlessness. Owing to our quality control policy, we have earned the trust and confidence of our valued customers spread across the market. We are very fortunate to have the assistance of a squad of adroit professionals that has immense expertise in their respective domains. We have departmentalized our team into various functional units to maintain the workflow in an efficient manner. Owing to our highly dependable and hard working team of professionals, we have gained a commendable position in the international market. Apart from this, we conduct various training sessions and learning programs for our professionals so that they can update themselves with the dynamic market. Vadodra Chamber of Commerce and Industry. Owing to rich domain experience and efficient workforce, we have gained a commendable position in the market. Our offered range is quality tested and available in various specifications. 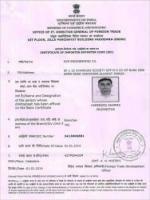 AVS Engineering Co came into existence in the year 2011 at Vadodara, Gujarat (India). Our organization was established by the director Mr. Harendra Sharma with the vision to cater to the needs of clients across the market. His industry experience and sharp acumen have enabled us in expanding our business exponentially.